Welcome to our December 2015 blog update. We would like to take this opportunity to wish a Merry Christmas to all our valued clientele who supported our business in 2015 and those who visit our website. We have just completed Sound Proofing work on the windows of terraced homes on Dartry Rd, Rathmines, Cowper Rd, Rathmines and at Cabinteely, Dublin where our clients had road noise issues. On a link Rd between South Circular Rd and Kevin St, Dublin (Henrietta St) we have just completed a Sound Proofing contract on the windows of a basement apartment to enable our client to live comfortably without having to worry about road noise issues. A Sound Proofing / Energy Saving project has just been completed on private home, which was listed, in Rathmines Upper and on Kennilworth Rd, Dublin. The home had original Single-Glazed Sliding Sash windows in need of Energy Savings. 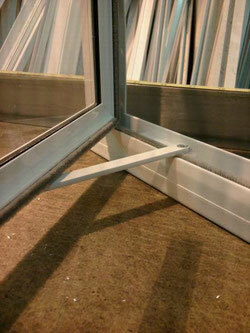 Windows were rattly, losing expensively generated heat through gaps in joints and through the 3mm glass. Our Energy Saving Secondary Glazing System was the answer, using acoustic glass to minimise noise levels. We have also completed our Sound Proofing work on a refurbished Guest House opposite Merlin Park Hospital, Galway City, where the property owner, Ms. Marian Martyn, contracted us to fit our Secondary Glazing to all the bedroom windows for extra client comfort. We have completed our Secondary Glazing work on a period farmhouse in Killucan, Co. Westmeath. 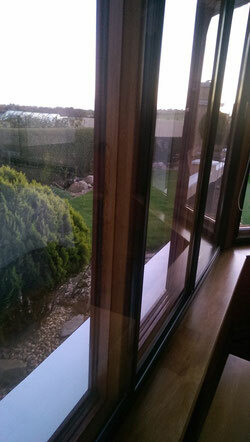 Our client had considered, reluctantly, removing his perfectly good windows and replacing them. He contacted us through a local replacement window company, whom we had supplied our Sound Proofing Systems too in the recent past. The windows were the original Georgian-style, single-glazed sliding sash. They had become warped and letting in too much fresh air, so our client decided it was better to ''heat his feet and not the street''!!! The results have been immediate. He and his family now have a much more cosy home and wonderful savings on fuel costs. Two other privately owned apartments: in Sallins, Co. Kildare and Rathfarnham, Dublin, used our Sound Proofing Systems on their windows to enable a good nights sleep and confirm up to 75% reduction in noise levels in both. Our most recent Sound Proofing contracts were in The Dingle Benner Hotel, The Lantern Townhouse Guest House, both at Dingle, Co Kerry. We have just completed our Sound Proofing application to all the bedroom windows at The Ashley Hotel, Cork City – with total success. We are also carrying out on-going Secondary Glazing of windows in The Merrion Hotel Dublin, Sound Proofing on private homes in Carrick On Shannon, Leitrim, Sound proofing on windows in a period home in Ballycarney, Co. Wexford, together with further Sound Proofing contracts on private homes on Ranelagh Rd and Oakfield Rd, Ranelagh, Dublin, together with Sound Proofing of windows on two apartments in Castleforbes Square, Dublin City, apartment in Donabate, a private home in Newtownforbes, Longford and a private home in Lurgan Pk, Galway. We have just been contracted to provide our Secondary Glazing services at The Lord Bagnall Trust, Castleblayney, Co. Monaghan. This is a Period Building consisting of two floors with more than 20 lovely Sliding Sash Windows. We have been contracted to fit our patented Flyscreens in a private country farmhouse in Co. Westmeath, a period house in Knockgriffin, Middleton, Co. Cork, workshop floor area of 'Aptar' ltd, Ballinasloe, windows and doors in a private dwelling in Limerick City, draughtpoofing of a home in Adare, Co. Limerick, fly screening of windows in a woodland area in Castlemaine, Co. Kerry, Flyscreens and Flydoors for thriving family-run businesses (McGuire's Boxty Ltd) in Killala, Co. Mayo, a Crèche in Headford, Co. Galway and a farming business in Vicarstown, to surpass all 2001 EU HACCP, FSAI & Global Food & Dept of Agriculture Hygiene Regulation requirements. We have been contracted to carry out Flyscreening work for the HSE at locations in Dublin - in Temple St Children's Hospital in Dublin - in Donegal at St Josephs Hospital, Stranorlar, Letterkenny General Hospital, Killybegs Hospital, St Josephs Hospital Carndonagh - in Mayo at Mayo General Hospital, Castlebar, several Day Care Centres and community hospitals in Ballina, Swinford, Westport and Belmullet. - a refined powder-coated, colour- coded aluminium screen, usually fitted onto its own extension framing, which can be fitted outside of any door to help protect the existing door from the elements is now available. The Storm Door can eliminate the possibility of having to change your beautiful hardwood door. The Storm Door is fitted independently of the existing door (on drop-pin cast steel hinges) and can be removed easily for the summer months if necessary. *For images and other detail please refer to our 'Images Gallery'. Our quality ''retrofitted'' door draught-proofing system has been the choice of professionals since 1989 and continues to be the most successful available in Ireland. An elastomeric sheath, which has the most tolerance of any product of its kind on the market, it moulds to the contours of the door/ s even on arched doors makes it the ideal retrofitting choice. Housed in a uPVC carrier, it is available in a choice of white or brown to match most wooden doors and the use of stainless steel pins instead of screws ensures no rusting. To combat the problem of draughts under doors we have a selection of uPVC carriers with differing lengths of brushing to suit most situations. The carrier is fixed onto the bottom of the door with concealed fixings in a choice of colours - currently brown, white, pine and wood-grain. Many of our Secondary Glazing contracts work includes fitting of our retrofitted door seals onto existing wooden doors to complete the picture. Available in a choice of colours to match existing decor! !